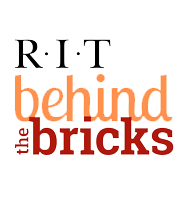 Get up to date bus information with the RIT Mobile App and track your bus in real time! Download here. You can also download the TransLoc app here. RIT transportation services are not available when the University is officially closed due to a holiday (federal or Christmas/New Year’s week) or emergency closures. Please be aware that Regional Transportation Services (RTS) provides reduced services during all federal holidays. This may impact your commute if RIT is in session. The RTS Schedules provides useful information on all off-campus bus routes. Current RTS Bus 24 has been redesigned and some stops have been discontinued. See RTS Off Campus below. Due to RTS limiting it's service to RIT, we will begin running an RIT shuttle to connect with the new RTS 24 at the West Henrietta Rd. and MCC Applied Tech bus stop beginning Monday, June 25. The TE3 runs every Friday and Saturday that classes are in session (will not run on Thanksgiving, Winter or Spring Breaks).